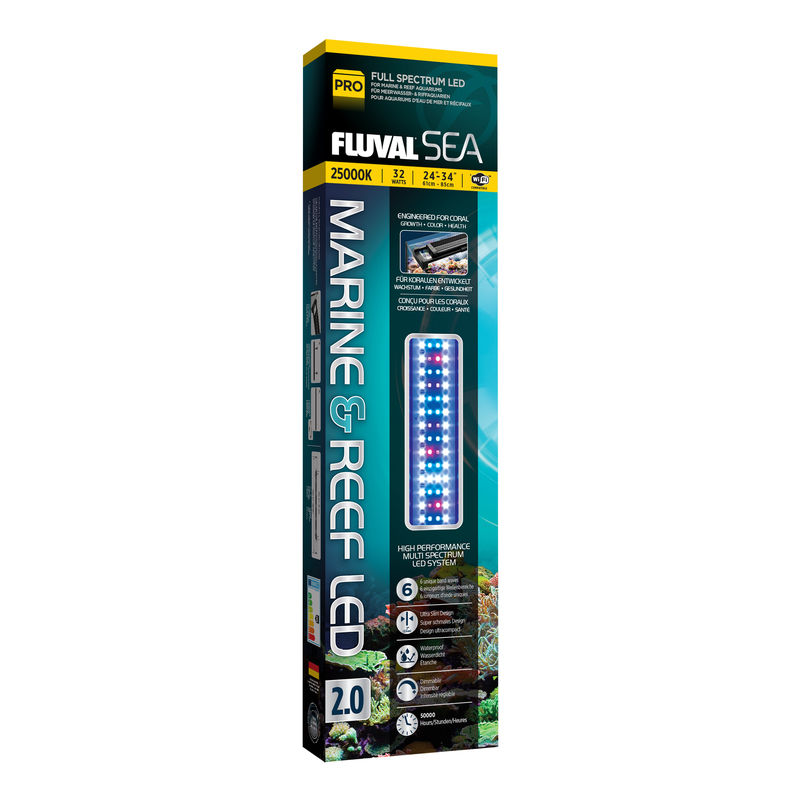 Engineered for vibrant coral growth, colour and health, the Fluval Sea Marine & Reef 2.0 Performance LED features greater light output than our previous generation of marine and reef LED strip lights, in addition to a new illuminated touch-switch with dimmer. Fluval SEA Marina & Reef LED lighting incorporates 6 unique LED band widths and up to 692 individual LEDs, including essential actinic blue wavelengths and key spectral reinforcement to provide a balanced combination for optimal coral photosynthetic activity, growth and viewing. Full coverage and uniform lighting is achieved thanks to 120° light dispersion and all lights feature switchable day and night lighting modes. Available in 3 lengths (60, 90 and 120cm) each with extendable brackets enabling them to mount on any aquarium straight out of the box. 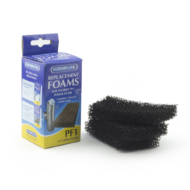 Additional suspension and mounting options are also available.